Dimming light fixtures are a great way to save money on energy, but not everyone has the luxury of having these money-saving fixtures in their homes. Finally, there is a way dim your bulbs without replacing all of your light fixtures. 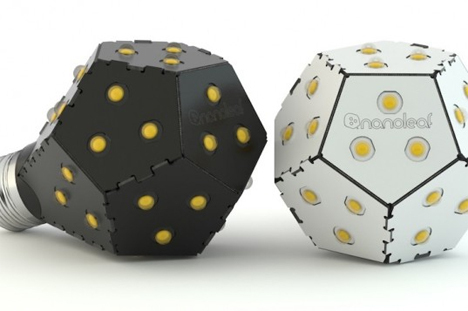 The Nanoleaf Bloom is a brilliant light bulb that acts like it’s attached to a dimmer even when it’s installed in a regular light socket with a standard on/off switch. 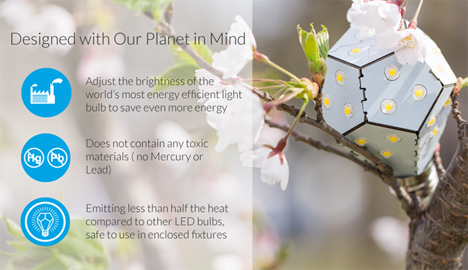 The Bloom is the even-more-impressive kid sibling of the Nanoleaf One, touted as the world’s most energy efficient light bulb. While the Nanoleaf One focused on energy efficiency and changing the shape of the conventional light bulb, the Nanoleaf Bloom takes the revolution one step further: it lets you adjust the brightness of the bulb based on your needs at that moment. Dimming your bulbs to 50% of their maximum brightness can cut your electricity use by up to 40 percent. 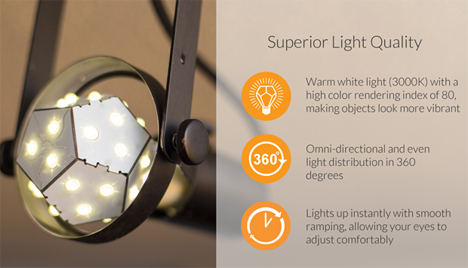 With the Nanoleaf Bloom, full brightness uses up just 10 watts of electricity, and at 50% the bulb uses an impressive 2.6 watts. One bulb will provide 30,000 hours of light, which comes out to 27 years if the bulb is on for 3 hours each day. To use the dimming feature in a non-dimmer outlet, you just have to flick the on/off switch. An embedded microprocessor changes the bulb’s brightness, which you can “lock in” to set the default brightness when you turn the bulb on. The truly impressive project raised more than three times its Kickstarter funding goal in just over a week, proving that there is plenty of interest in bringing the Nanoleaf Bloom into homes – even if it is just a little funny looking.